It’s not very often you see a mountain bike film in black and white so it’s nice to the creative side come out for this one. Kurt Sorge, Graham Agassiz and Carson Storch recently escaped the harsh winters grip to get some downhill bike riding in. Watch as the guys pick and ride some very creative mountain bike lines on their big bikes! 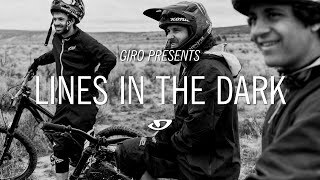 Carson Storch, Kurt Sorge and Graham Agassiz ride mountain bike lines on their downhill bikes.